So, turns out the 5S' much gabbed-about fingerprint sensor is already creating a ruckus — amongst the hacking crowd. Theoretically, the fingerprint scanner should be the most secure thing in the world. Just as kindergarten crafts and Law and Order: SVU taught us, everyone's fingerprints are different. So it's basically impossible to break into the phone. Of course, rules are meant to be broken, and fingerprint scanners are meant to be outwitted. 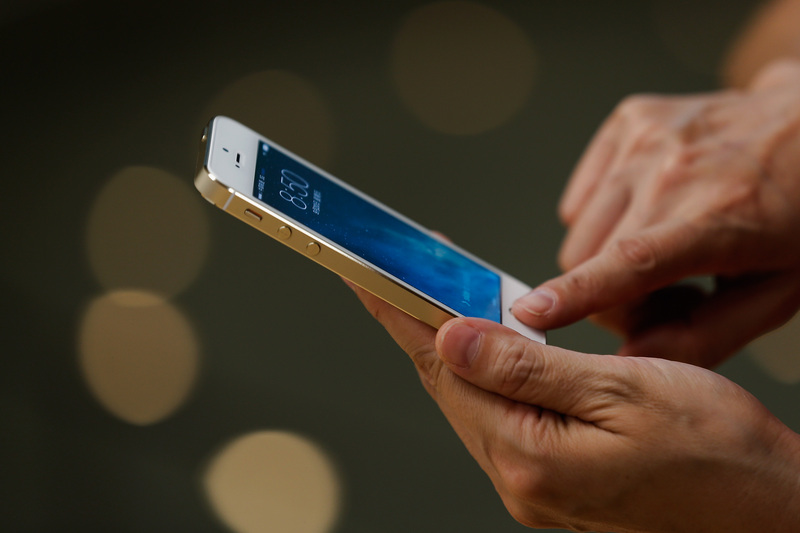 Now, a group comprised of security researchers and a micro venture capital firm is raising the stakes: they're offering a crowdfunded reward for the first person to successfully lift a fingerprint and use it to unlock the owner's iPhone 5S. "This is to fix a problem before it becomes a problem," Arturas Rosenbacher, the founding partner of IO Capital, which donated $10,000 to the competition, said. "This will make things safer." Security researchers launched the website for the competition Wednesday, and people are gearing up. "I am just waiting to get my hands on it to figure out how to get around it first,"David Kennedy, a former U.S. Marine Corps cyber-intelligence analyst and the founder of the DerbyCon hacking conference, told Reuters. "I'll be up all night trying." Apple says they aren't aware of any glitches, which makes the whole thing that much more Ocean's 13. Such fun. Not fun, however, is standing in line in the Pasadena store today, where fights have broken out that have resulted in two arrests (so far). Simmer down guys, everyone's going to get one eventually. Unless, that is, you're after one of the fancy new gold ones, which may already be backordered in the U.S. and elsewhere until October. In other news, here is a cat unlocking an iPhone 5S with its paw, maybe because it wants to check out its Petigram profile.